doctor keith armstrong - the jingling geordie! : HERMANN HESSE IN THE GUTTER - NOW IN DANISH! HERMANN HESSE IN THE GUTTER - NOW IN DANISH! ‘We are all in the gutter, but some of us are looking at the stars’ (Oscar Wilde). faldt pladask på fjæset i Tübingenmudderet. og støvet faldt på Heckenhauers Boghandel. ‘We are all in the gutter, but some of us are looking at the stars’ (Ocar Wilde). (as performed by Dr Keith Armstrong in the Williams Library, St Chad's College, University of Durham on Thursday 27th April with guest writers Manuela Schmidit and Florian Neuner (from Durham's twin city of Tuebingen) and fellow poet Katrina Porteous). 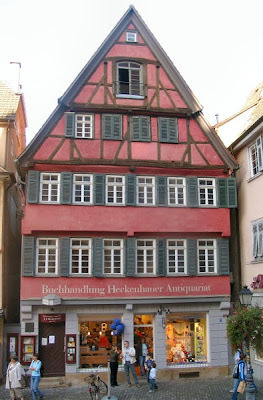 The cycle of discontent and early rebelliousness seemed to temporarily subside when Hesse began an apprenticeship in the Heckenhauer bookshop in in the university town of Tübingen on October 17, 1895. Hesse's literary career was about to begin. While learning the publishing business, Hesse engaged himself with self-education, and to a degree, the many evening hours devoted to quiet thought and contemplation accorded deeper insight and clarity. Although Hesse on occasion attended social gatherings and went out with friends, overall the years in Tübingen were devoted to solitary activities. Hesse wrote at the time, "It's the work I do on my own that makes life worthwhile." Hesse spent much time reading alone, absorbing and forgetting himself in German Romantic literature, primarily Goethe who utterly captivated him. During the Tübingen years, Hesse increasingly became enveloped in an atmosphere of aestheticism, finding faith and comfort in the world of beauty, and specifically the world of poetry. Hesse strived to familiarize himself with the history of literature, and the world of romanticism, and aestheticism was of key importance. 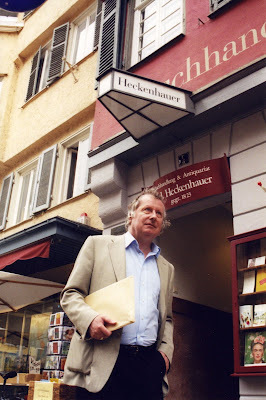 Heckenhauer's bookshop had a collection specializing in theology, philology, and law. 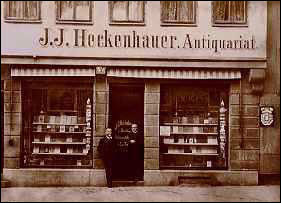 Hesse's assignment there consisted of organizing, packing, and archiving the books. 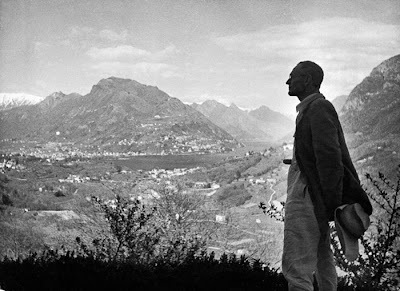 After the end of each twelve hour workday, Hesse pursued his own work further, and he used his long, free Sundays with books rather than social contacts. Hesse studied theological writings, and later Goethe, Lessing, Schiller, and several texts on Greek mythology. In 1896, his poem 'Madonna' appeared in a Viennese periodical. 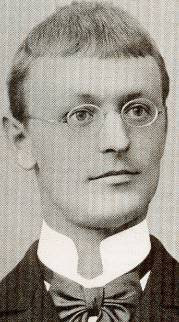 In 1898, Hesse had a respectable income that enabled his financial independence from his parents. During this time, he concentrated on the works of the German Romantics, including much of the work from Clemens Brentano, Joseph Freiherr von Eichendorff, Friedrich Holderlin and Novalis. In letters to his parents, he expressed a belief that "the morality of artists is replaced by aesthetics." This newfound faith in aestheticism formed the background of Hesse's first poems. It dominates in An Hour behind Midnight, as also in parts of Hermann Lauscher, and was finally beginning to fade away in Peter Camenzind. In autumn 1898, Hesse released his first small volume of poetry, Romantic Songs and, in the summer of 1899, a collection of prose entitled One Hour After Midnight. Both works were a business failure. In two years, only 54 of the 600 printed copies of Romantic Songs were sold, and One Hour After Midnight received only one printing and sold sluggishly. Nevertheless, the Leipzig publisher Eugen Diederichs was convinced of the literary quality of the work. working hours and days that lay mysteriously anywhere between time and space." While you demand your happiness, that's dead. And walk for money, looking miserable! You walk, and walk, and find no home at all. Happiness is how, not what: a talent, not an object. If you hate a person, you hate something within him that is part of yourself. What isn't part of ourselves doesn't disturb us. It is not our purpose to become each other; it is to recognize each other, to learn to see the other and honour him for what he is. The middle class prefers comfort to pleasure, convenience to liberty, and a pleasant temperature to the deathly consuming inner fire.